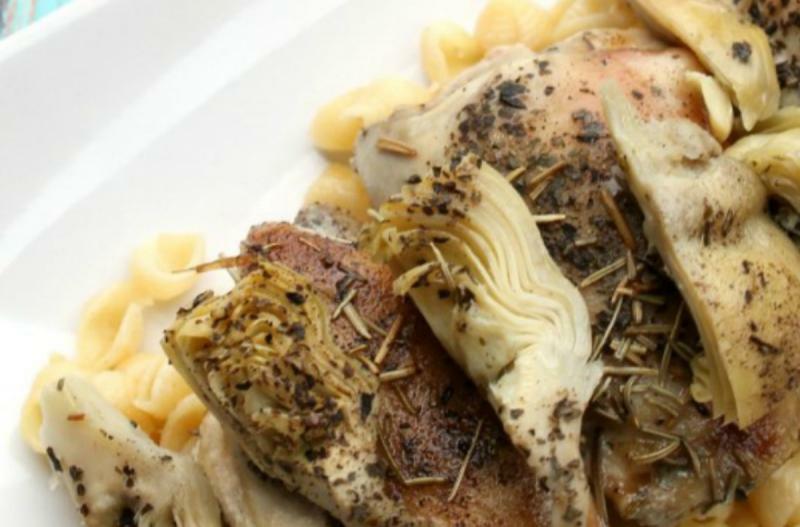 Place the chicken breasts in the base of the slow cooker and pour the white wine, chicken stock, artichoke hearts, butter, and lemon juice around the chicken. Season with salt and pepper. Set on low and cook for 8 hours. With 30 minutes left in the cooking cycle, whisk in the cornstarch and let finish cooking. The sauce will thicken. 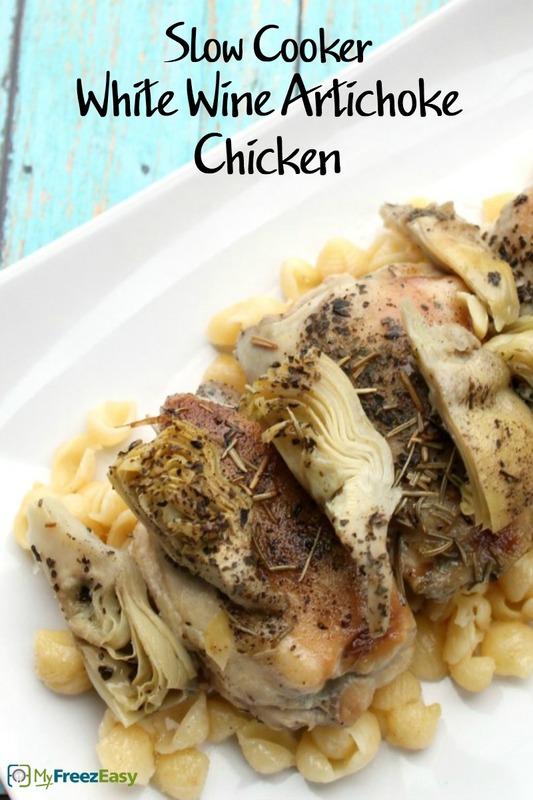 Serve Slow Cooker White Wine Artichoke Chicken with over pasta with salad.